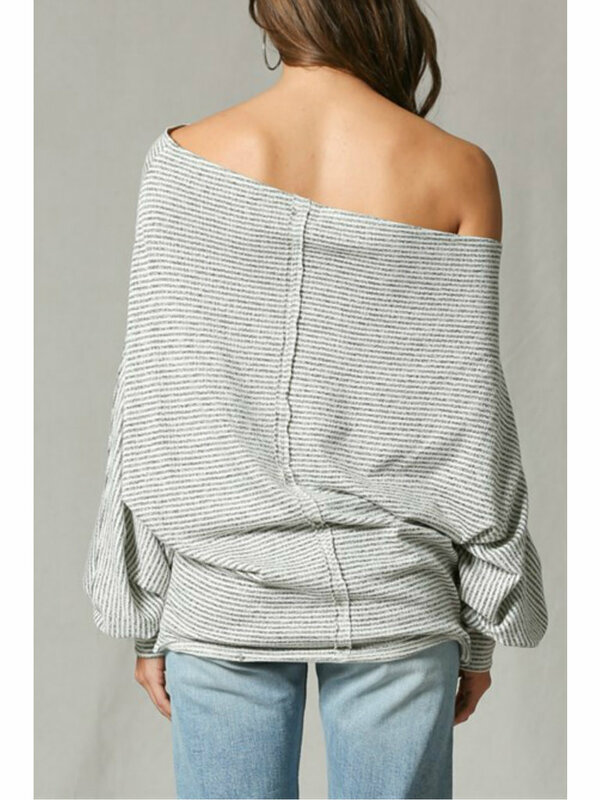 This long sleeve off-the-shoulder top is perfect to throw on with your favorite pair of jeans. 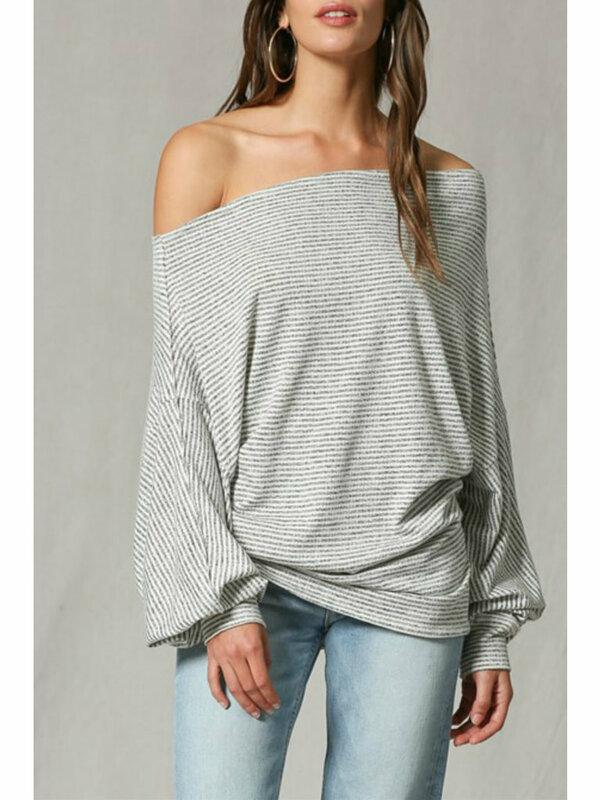 The soft material has thin grey and white stripes and the balloon sleeves gather at the wrists. 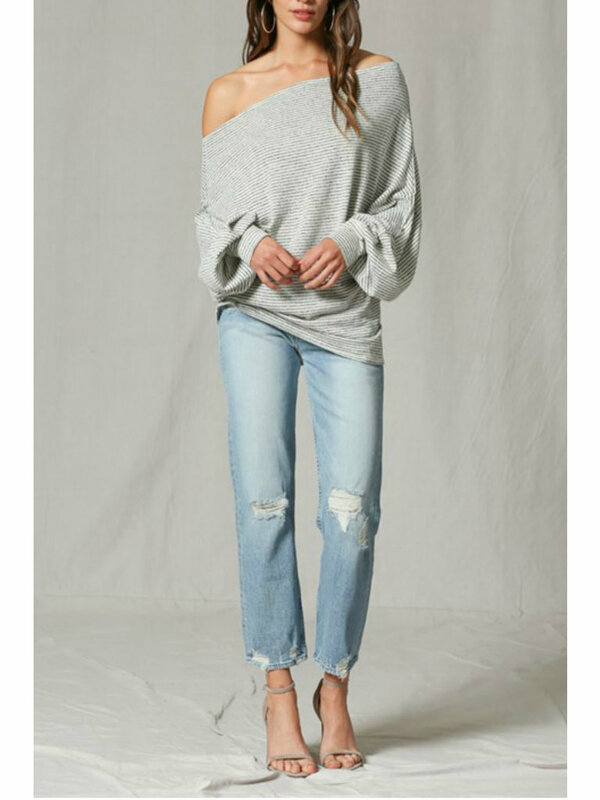 Relaxed fit.